GAO-15-775: Published: Sep 15, 2015. Publicly Released: Oct 15, 2015. Explanation of vehicle-to-infrastructure safety applications. Vehicle-to-infrastructure (V2I) technologies allow roadside devices to communicate with vehicles and warn drivers of safety issues; however, these technologies are still developing. According to the Department of Transportation (DOT), extensive deployment may occur over the next few decades. DOT, state, and local-transportation agencies; researchers; and private-sector stakeholders are developing and testing V2I technologies through test beds and pilot deployments. Over the next 5 years, DOT plans to provide up to $100 million through its Connected Vehicle pilot program for projects that will deploy V2I technologies in real-world settings. DOT and other stakeholders have also provided guidance to help state and local agencies pursue V2I deployments, since it will be up to these agencies to voluntarily deploy V2I technologies. According to experts and industry stakeholders GAO interviewed, there are a variety of challenges that may affect the deployment of V2I technologies including: (1) ensuring that possible sharing with other wireless users of the radio-frequency spectrum used by V2I communications will not adversely affect V2I technologies' performance; (2) addressing states and local agencies' lack of resources to deploy and maintain V2I technologies; (3) developing technical standards to ensure interoperability; (4) developing and managing data security and addressing public perceptions related to privacy; (5) ensuring that drivers respond appropriately to V2I warnings; and (6) addressing the uncertainties related to potential liability issues posed by V2I. DOT is collaborating with the automotive industry and state transportation officials, among others, to identify potential solutions to these challenges. The full extent of V2I technologies' benefits and costs is unclear because test deployments have been limited thus far; however, DOT has supported initial research into the potential benefits and costs. Experts GAO spoke to and research GAO reviewed indicate that V2I technologies could provide safety, mobility, environmental, and operational benefits, for example by: (1) alerting drivers to potential dangers, (2) allowing agencies to monitor and address congestion, and (3) providing driving and route advice. V2I costs will include the initial non-recurring costs to deploy the infrastructure and the recurring costs to operate and maintain the infrastructure. While some organizations have estimated the potential average costs for V2I deployments, actual costs will depend on a variety of factors, including where the technology is installed, and how much additional infrastructure is needed to support the V2I equipment. Over the past two decades, automobile crash-related fatality and injury rates have declined over 34 and 40 percent respectively, due in part to improvements in automobile safety. 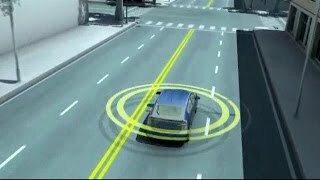 To further improve traffic safety and provide other transportation benefits, DOT is promoting the development of V2I technologies. Among other things, V2I technologies would allow roadside devices and vehicles to communicate and alert drivers of potential safety issues, such as if they are about to run a red light. GAO was asked to review V2I deployment. This report addresses: (1) the status of V2I technologies; (2) challenges that could affect the deployment of V2I technologies, and DOT efforts to address these challenges; and (3) what is known about the potential benefits and costs of V2I technologies. GAO reviewed documentation on V2I from DOT, automobile manufacturers, industry associations, and state and local agencies. In addition, GAO interviewed DOT, Federal Communication Commission (FCC), and National Telecommunications Information Administration (NTIA) officials. GAO also conducted structured interviews with 21 experts from a variety of subject areas related to V2I. The experts were chosen based on recommendations from the National Academy of Sciences and other factors. DOT, NTIA, and the FCC reviewed a draft of this report. DOT and NTIA provided technical comments, which were incorporated as appropriate. FCC did not provide comments.